Any academic writing that defends a claim that can be proven as reasonable can be considered philosophical writing. Philosophical writing adheres to a strict core format that must always be followed. It is a claim or a fact that the essay writer presents as reality throughout the essay. Through the whole paper, the writer strives to defend the claim he made and provide a wide range of facts that go to support it. The first challenge of philosophical essay writing lies in choosing the topic. The first step in choosing the topic is choosing the best-suited branch of study within philosophy itself. Critical thinking within the sphere of knowledge related to the 5 branches of philosophy, metaphysics, epistemology, ethics, politics, and aesthetics must be applied. Philosophical essay writing must be done with a clear idea in mind and, for that, some structure is needed. The writer must have all knowledge related to the idea. The trick to successful philosophical writing is to know how the whole essay will look before writing a single word. A philosophical essay must consist of the introduction, body, and conclusion. The origin point of every philosophical essay must be the outline. The outline is a blueprint for the essay that provides the writer with the structure. In turn, the structure of the essay serves to determine the focal points for the facts which will be discussed in the paper. The key to successfully presenting the facts is the ability to set them up in advance in such a way that the main argument becomes convincing. The introduction serves to familiarize the reader with the content of the essay in a concise and straight manner. It gives the reader the most basic of relevant information related to the essay. A thesis can be defined as the statement that summarizes the main claim presented in the paper. It must be absolutely precise and clear as it needs to pave the way in which the essay is going to. In addition to this, the thesis statement must be debatable. It cannot be an indisputable fact as the writer must be able to provide both sides of the argument with relative ease. The conclusion is meant to give a type of closure to the reader. It should summarize all the arguments and counter-arguments. It should also give a definite and a compelling answer as to where and why the writer stands on the matter at hand. A simple golden rule to remember when it comes to essay structure is that body paragraphs should be between 6 and 8 sentences in length. The overall number of paragraphs the essay will contain varies on its length, but the 6-8 sentences rule can always be enforced. The paragraphs themselves can be divided simply. Each paragraph should have one argument or one counter-argument related to the claim. 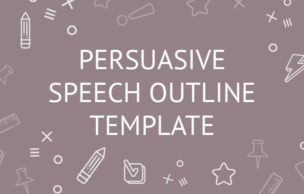 Using connective words will give any essay flow and logic. When the flow of the essay is smooth, the whole paper will read better and seem more coherent. Ideas for the philosophical essay can come from virtually anywhere, but that does not mean that each and every one is suitable for a philosophical essay. Certain rules must be followed, and if all mandatory criteria are not met, even the best of ideas might be discarded. The topic of choice should withstand an academic inquiry and all of its instruments. That is not to say that the source for the idea must come from the academic circles. On the contrary, ideas must not be limited in this manner. It merely means that the source must be credible and suited for the academic inspection. Some of the most secure choices for an idea are academic journals, books, philosophical publications, and reports. All of these sources are easily accessible from the Internet or libraries. Essay finalization serves as a way for the writer to weigh the strength of his paper. It is the time to review the whole document and determine if it is up to the expected standards. A good place to start with this process is to compare the outline of the essay to the actual essay. If they are not compatible, it is possible that the writer had lost the sight of what is important. In this case, the writer might want to either change the essay to match the outline or to change the outline and see if it makes sense with the essay. The thesis statement is something that needs to be built upon with the arguments; that is why it must be reviewed during the finalization of the essay. The arguments must be clear and strong enough to support the thesis statement as they are the defensive walls of the paper. All the counter-arguments against the claim must be adequately disposed of and no room for error can be made. This is why it is so important for the writer to take the time and make sure that he had advanced his arguments properly, and that they cannot be countered. If some of the arguments are unclear, it is possible to go back and change them. It is important to change the outline before doing this to see if the changes could affect the flow of the essay. Another process which should be observed during the finalization of the essay is to make sure that the proper language was used. The point of a philosophical essay is not to confuse the reader with unnecessary terminology. The writer must keep in mind the targeted audience of his paper and use language accordingly. The best and often most complex essays are written in such a way that a child could understand them. If the writer feels that this is not the case after his revision, he should tone down the language as best he can without losing any quality. The essay also needs to be proofread as a rule of thumb. The importance of no grammatical mistakes in the essay cannot be stressed enough. Grammatical mistakes can make the essay unreadable and reduce the strength of the arguments being made. The reader cannot trust in the arguments presented if he sees that the writer did not put in the minimal effort needed to make the paper error-free. During the proofreading stage, the writer can double check the sentence structure and make sure that the word choice suits the essay goal - that is, to inform and persuade the reader. The writer needs to give credit where credit is due and he can accomplish this by citing his academic sources. There are plenty of citation styles, and the writer must follow them by the book. Author's last name, the first letter of first name. (year of publication). Title of the book. Place of publication: Publisher. APA sample reference: Finney, J. (1970). Time and again. New York, NY: Simon and Schuster. The citations should always come from books, academic journals, and other trusted sources. 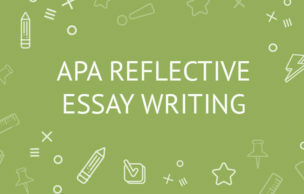 The chosen title must be reflective of the content, and it must be clear enough for the reader to understand the general subject of the essay.